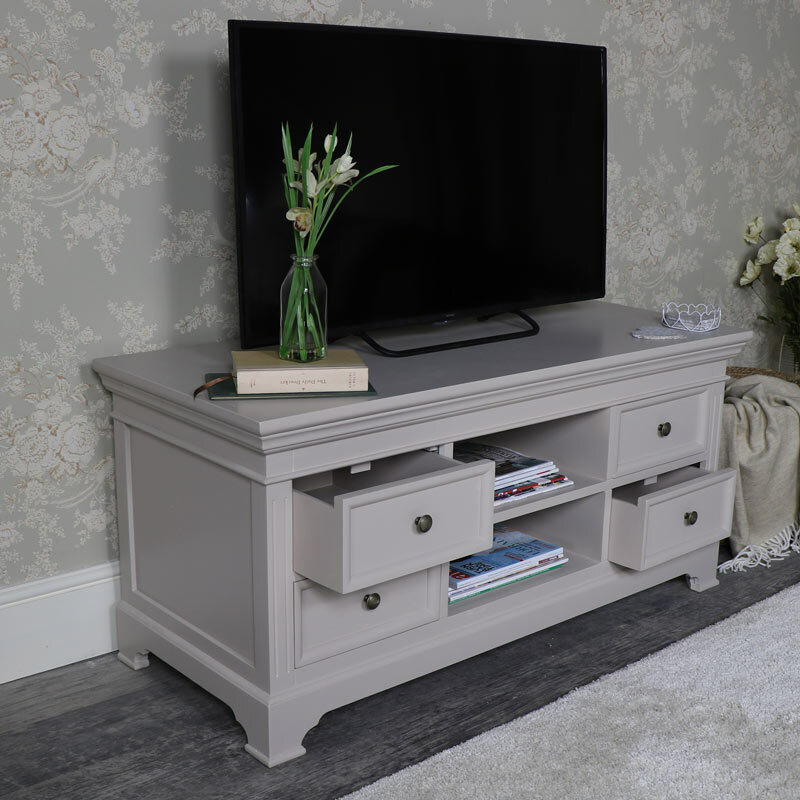 This TV cabinet is part of our ever popular Daventry Taupe-Grey Range. 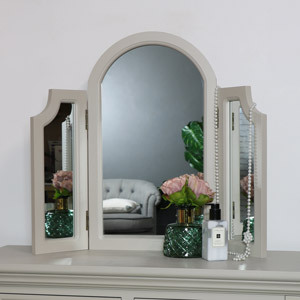 Finished in a handpainted taupe grey to add a neutral tone that will easily fit in with most colour schemes. 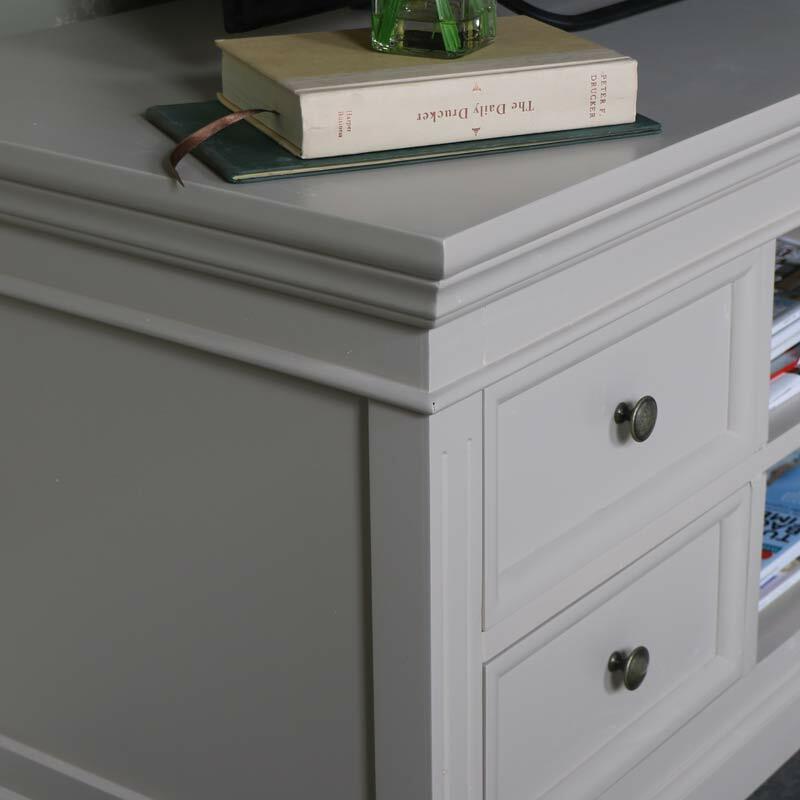 This cabinet will hold televisions of most sizes and offers great storage for your TV and media equipment. 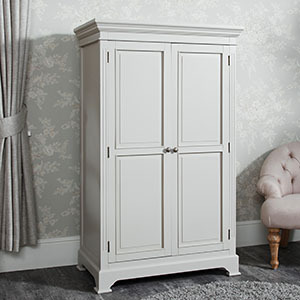 In a classic Georgian look, this TV cabinet offers a great place for your television to sit comfortably with 2 shelves 4 drawers for your Blu-ray, games consoles and other media equipment, complete with 2 holes in the back for cables. 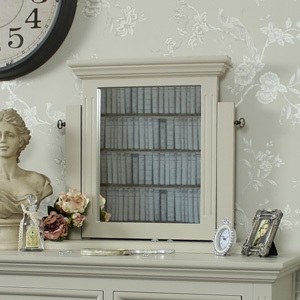 This TV unit is incredibly stylish and will add some vintage elegance to your living room. 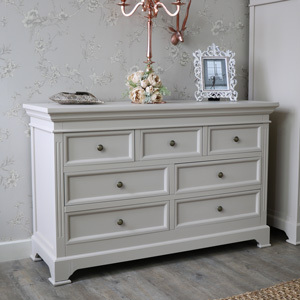 In a beautiful taupe grey colour with round brass handles. 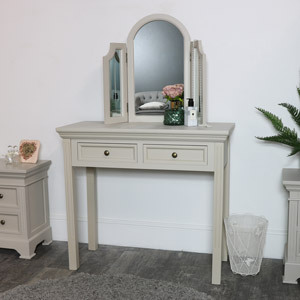 We have more furniture available in our Daventry Taupe-Grey Range that will help to create the desired look in your living room and if you're looking to carry this beautiful furniture throughout, we have matching furniture for your bedroom and hallway. 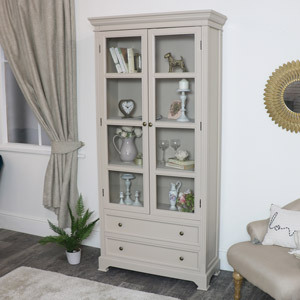 This TV cabinet is part of our ever popular Daventry Taupe-Grey Range. 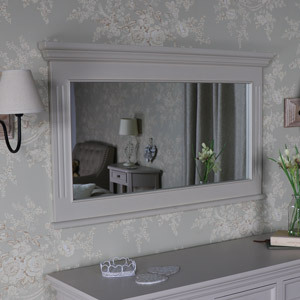 Finished in a handpainted taupe grey to add a neutral tone that will easily fit in with most colour schemes. 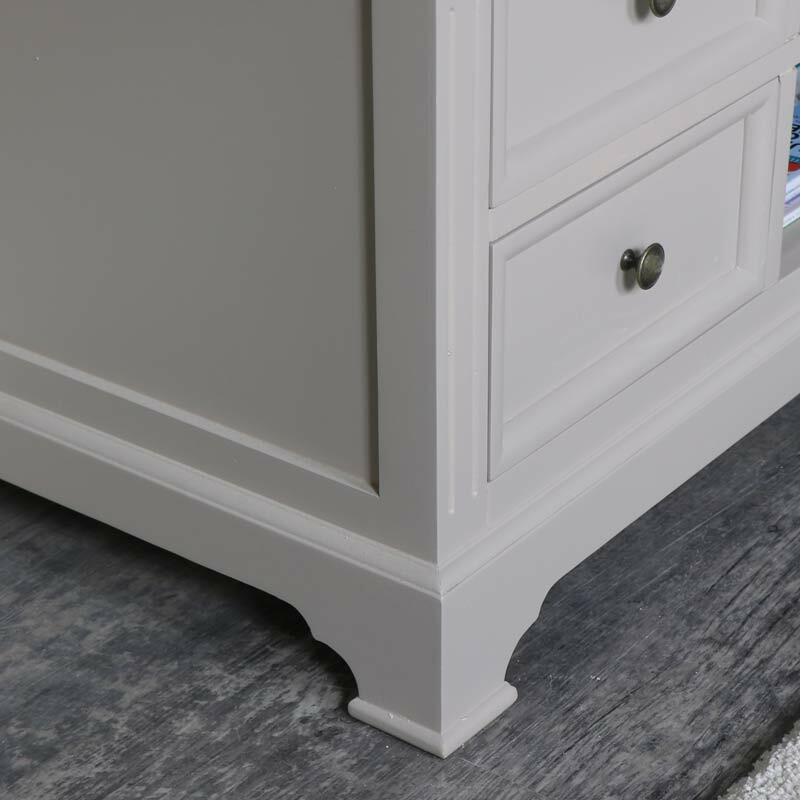 This cabinet will hold televisions of most sizes and offers great storage for your TV and media equipment. 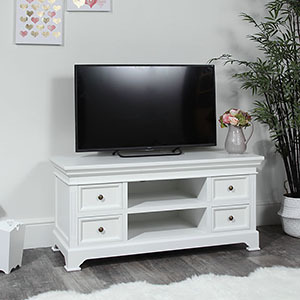 In a classic Georgian look, this TV cabinet offers a great place for your television to sit comfortably with 2 shelves 4 drawers for your Blu-ray, games consoles and other media equipment, complete with 2 holes in the back for cables. 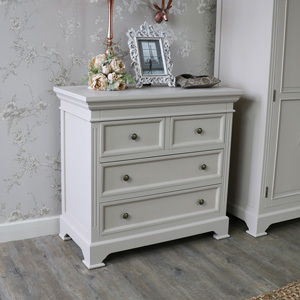 This TV unit is incredibly stylish and will add some vintage elegance to your living room. 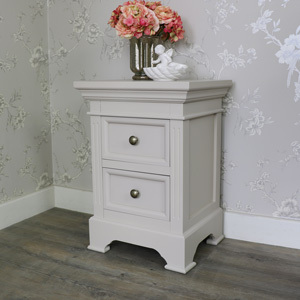 In a beautiful taupe grey colour with round brass handles. 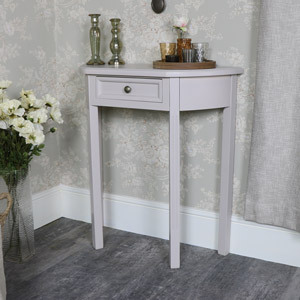 Made from wood and hand painted and hand finished in a taupe grey colour. 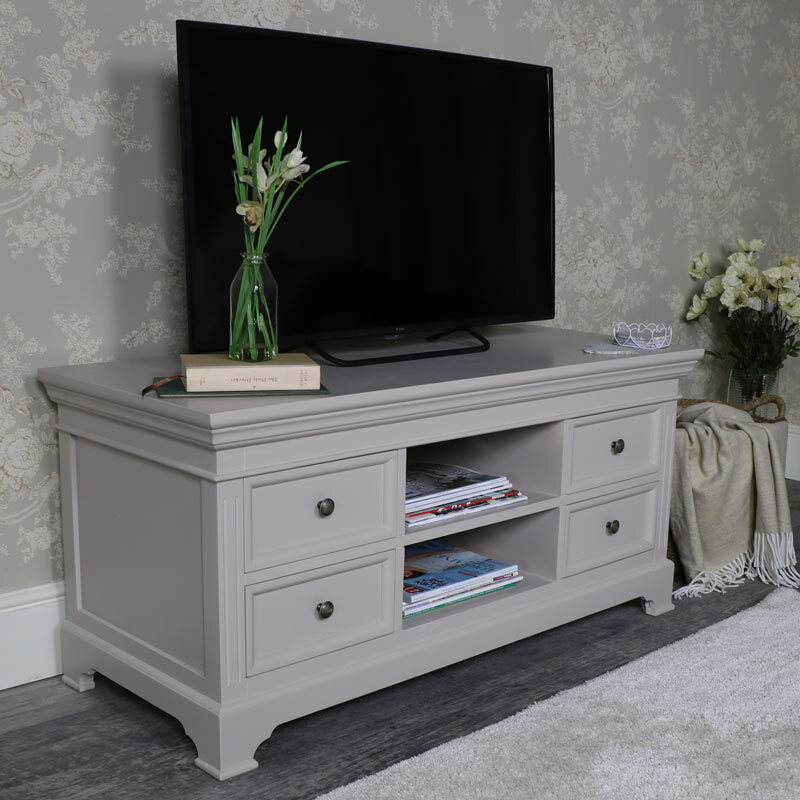 This TV unit comes fully assembled so no need for fiddly fixing together, just unbox, place where needed and you’re ready to go. The overall measurements are 120cm x 56cm x 50cm (width x height x depth). 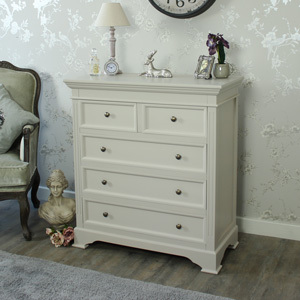 The drawers each measure 28cm x 14cm x 38.5cm (width x height x depth).